Apex Legends, a battle royale game set within the Titanfall universe, was announced for PC, PS4, and Xbox One during Super Bowl LIII. Apex Legends, a new free-to-play battle royale game from EA and Respawn Entertainment set within the Titanfall universe, was officially announced by Respawn Entertainment’s Vince Zampella as Super Bowl LIII was going on today. Apex Legends should actually be launching tomorrow, February 4, which should please fans of both Titanfall and battle royale games like Fortnite, which has now become mainstream. This tweet, which you can see below, confirms the game’s existence and reveals its Twitch channel. That being said, it wasn’t a surprise as Apex Legends as it was leaked last week. According to Kotaku and Rod Breslau, EA apparently invited several influencers to an event to play the game last week. Following that event, word about the game got out and we got a better idea of what to expect. Before the trailer dropped during the Super Bowl today, a Twitter account for the game was spotted and Geoff Keighley confirmed its existence. 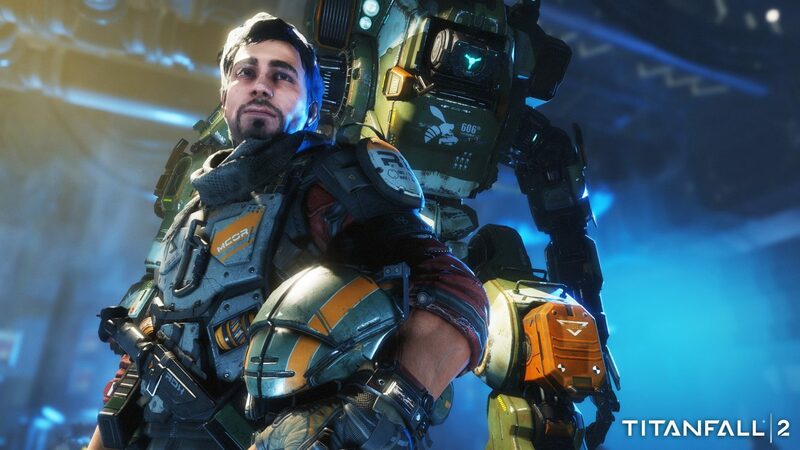 Interestingly, while the game is set in the Titanfall universe, Apex Legends doesn’t actually feature any Titans. That being said, it does seem to feature character abilities in a similar fashion to Overwatch. Matches will support up to 60 players, with 3-player groups being the maximum option for team-play. 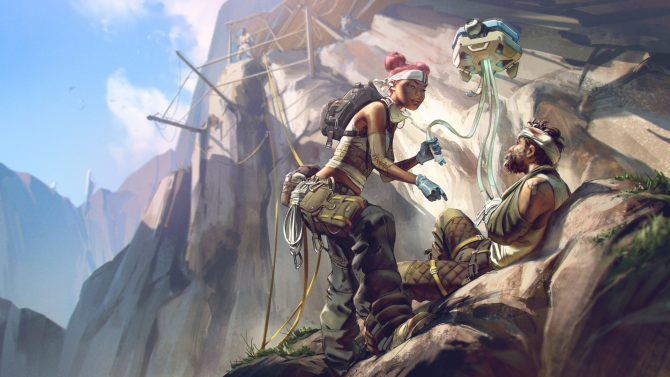 Apex Legends will supposedly feature microtransactions, though how invasive they are remains to be seen once the game launches. Supposedly, Apex Legends will actually be running on a heavily modified version of Valve’s Source Engine. As more details come out about the game, DualShockers will be sure to share them with you. 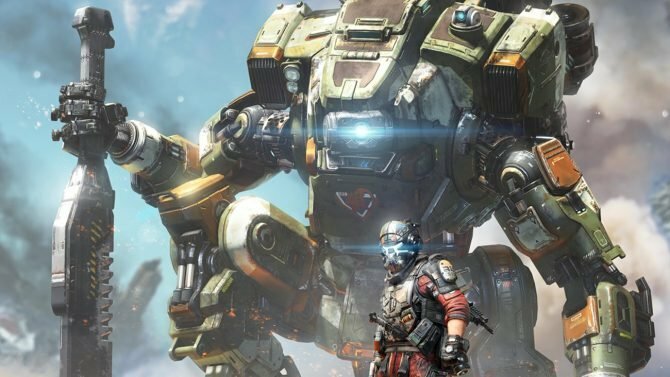 Apex Legends’ developer Respawn Entertainment was acquired by EA back in Fall 2017, and, as teased in a recent earnings call, has more than one game releasing this year. 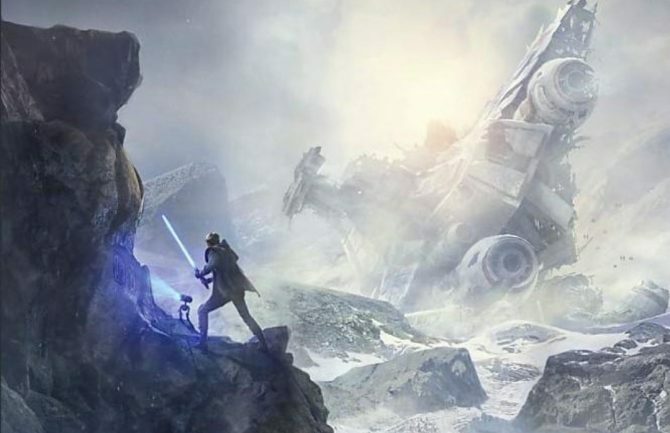 The first is Apex Legends, while the studio will be putting out Star Wars Jedi: Fallen Order soon as well. DualShockers will be sure to keep you updated as more information comes out about the game during tomorrow’s livestream. Apex Legends should launch for PC, PS4, and Xbox One tomorrow, February 4. If you would rather play a Titanfall game with a single-player element, Titanfall 2 is still available on Amazon.